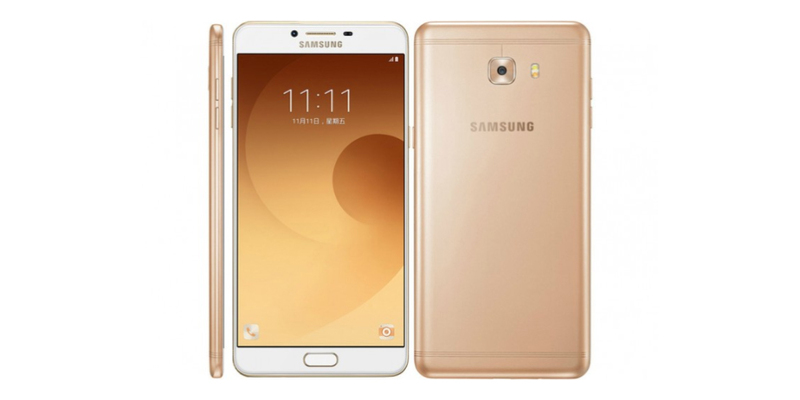 The Samsung Galaxy C9 Pro will land tomorrow, November 11, for the first time in the market, a key day for many, and especially in China, where, unfortunately for other interested parties, will be sold exclusively (at least until further notice from the Korean brand). Even so, it is worth talking about this phablet, which can safely be imported in the future, and this way any potential user will have in their hands a pure energy cell phone. This device is, in fact, the first smartphone of the Asian manufacturer that has 6 GB of RAM. Compatible with a very powerful processor, with its launch and these specs, it occupies one of the first positions in the global market of mobile phones of the year 2016. Speaking of specs: The Samsung Galaxy C9 Pro is powered by a Qualcomm Snapdragon 653 processor, a version with a higher clock frequency than the Snapdragon 652 processor which was already one of the best models of the Qualcomm brand. The internal storage has 64 GB and can be expanded up to a maximum of 256 GB with a micro SD card. The screen has a very large diagonal, which places it within the phablet market: 6 inches. The resolution with which this screen shows the images is Full HD, specifically 1080 x 1920 pixels. The main camera of the Samsung Galaxy C9 Pro has a resolution of 16 megapixels and is supported by an autofocus, phase detection mechanism and a dual LED flash. The front camera has also 16 megapixels, but has no LED flash. Finally, the battery has 4000 mAh capacity. And most importantly: this mobile device will be priced at $ 471 in China (equivalent to € 432). Moreover, and related to the arrival of the Samsung Galaxy C9 Pro to the market (the third device of the Galaxy C line), it seems that Samsung is also working on the Pro versions of Galaxy C5 and Galaxy C7 smartphones. SamMobile website has been responsible for this and apparently the Pro versions of these cell phones are currently known by the code names SM-C5010 for the Galaxy C5 Pro and SM-C7010 for the Galaxy C7 Pro. For the moment Samsung has not released any other information about these alleged models, but we assume that both will be better than the basic versions (Galaxy C5 and Galaxy C7).